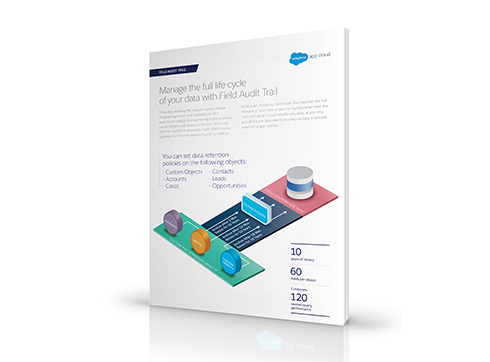 Field Audit Trail from Salesforce lets companies know the state and value of their data for any date, at any time. Whether for regulatory compliance, internal governance, audit, or customer service, Field Audit Trail helps companies create a forensic data-level audit trail with up to ten years of history. Define data retention policies so data is deleted when no longer needed. Field Audit Trail is built on a big data backend to enable massive scalability.